Think about the last great party you attended. What was it that made the event feel special? It’s the details; it’s the tiny things like hanging a garland or bunting or propping up labels by the food on the buffet. 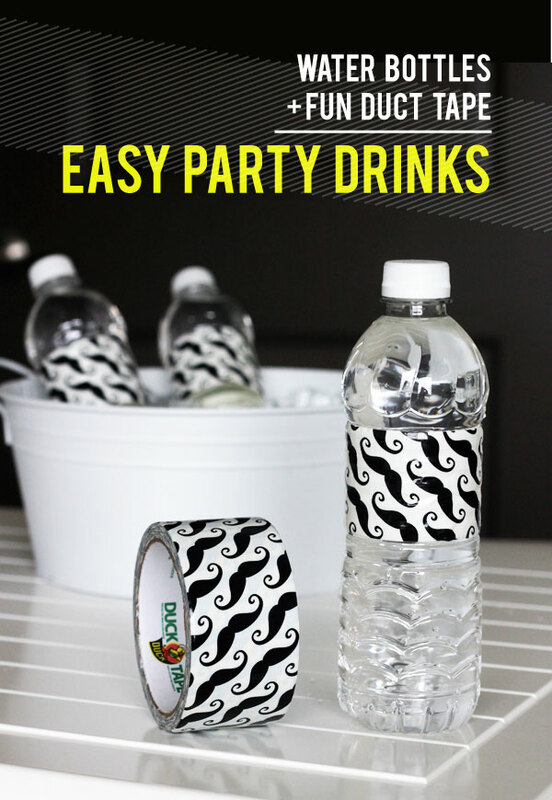 Water bottle wrappers are a great way to cement your party’s theme and keep your event styling cohesive. 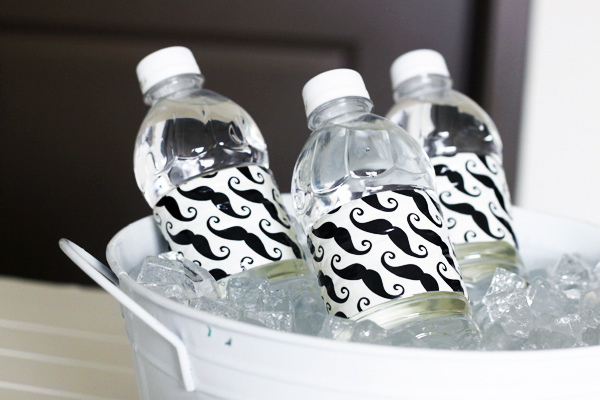 But you don’t need to design, print, cut and tape a few dozen bottles to get a great effect. Just turn to duct tape! It’s already sticky (no tape!) and it’s the perfect size for wrapping around a water bottle (no extra cutting!). Just cut off the plastic labels on your existing bottles, grab a 7”-8” length of duct tape, and then wrap it around the bottle where the label used to be. Easy! And just in case you haven’t wandered into the stationery aisle lately (it’s a black hole for me, too, so I don’t blame you), let me tell you that the old silver guard isn’t the only option anymore. Scotch and Duck brand duct tape are really stepping up their game with colored and patterned varieties of the sticky stuff. 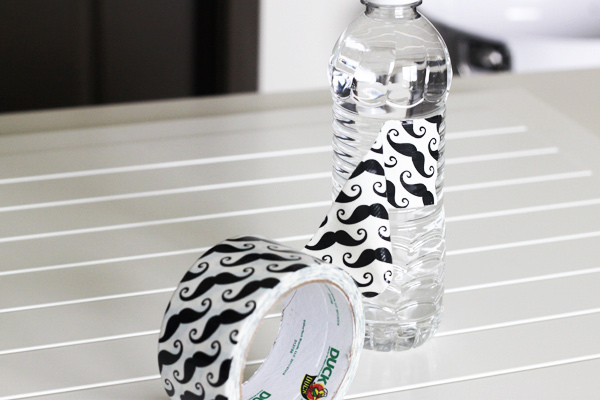 You can find duct tape in every color of the rainbow to match your party’s color scheme, or get creative with geometric patterns, plaid, animal prints, cute motifs and even college sports logos. Can anybody say “tailgate party”? Oh wow! This is such a cool easy and super cute idea!!! Good Morning! I wanted to let you know that I featured this great idea in my weekly bookmark list – stop by and check it out! Pingback:	Best Party Hacks Yet!